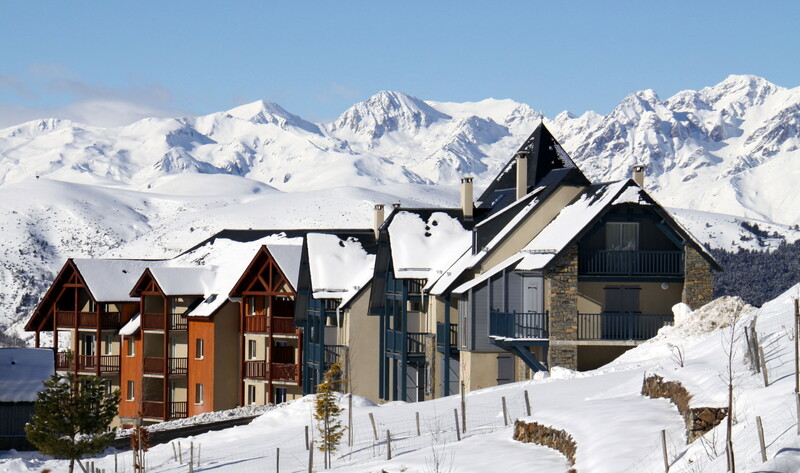 Les Adrets is a modern residence with an indoor pool located just 400m from the ski lifts and Peyragudes resort centre with its restaurants and bars. 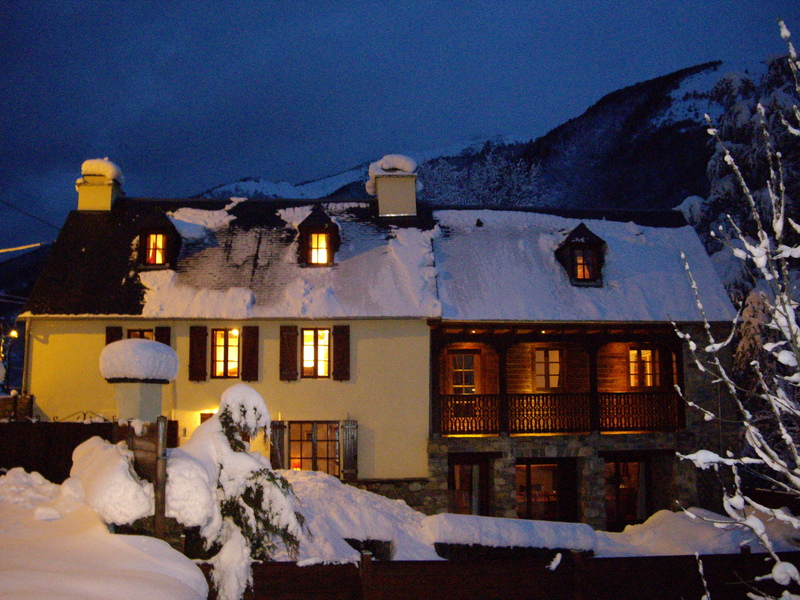 The residence of Les Adrets is located in the “Balestas” area of Peyragudes, at the entrance to the ski resort where the local bus shuttle stops. Just a five minute walk away are the foot of the ski slopes where the high speed lifts whisk skiers off to the heights of this modern ski area. 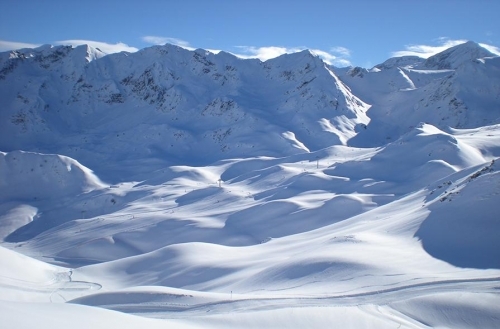 The resort was a fusion of the two villages of Peyresourde and Agudes, and today the small village of Peyragudes, perched at 1,600m above the Louron Valley is an epicentre of skiing and winter sports with state of the art lifts and services. 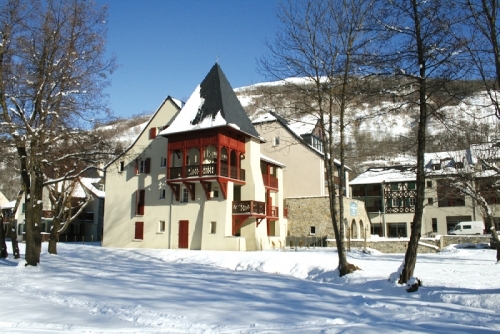 Built in typical Pyrenean style in light and dark woods, Residence Les Adrets is spread over six floors and has a great location just 400m away from the centre. 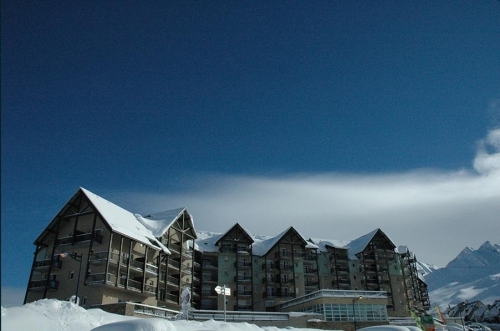 The is a free ski bus service to and from the Serias lift picks up and drops off in front of the residence. Residence Les Adrets has a lovely onsite indoor heated swimming pool with amazing panoramic views of the Louron valley and surrounding mountains. After a hard days’ skiing on the slopes of Peyragudes, adults can enjoy a relaxing session in the sauna whilst those wanting to carry on with the work out can use the small free fitness room. There is free Wi-Fi access at the reception and flat screen TVs in all apartments. 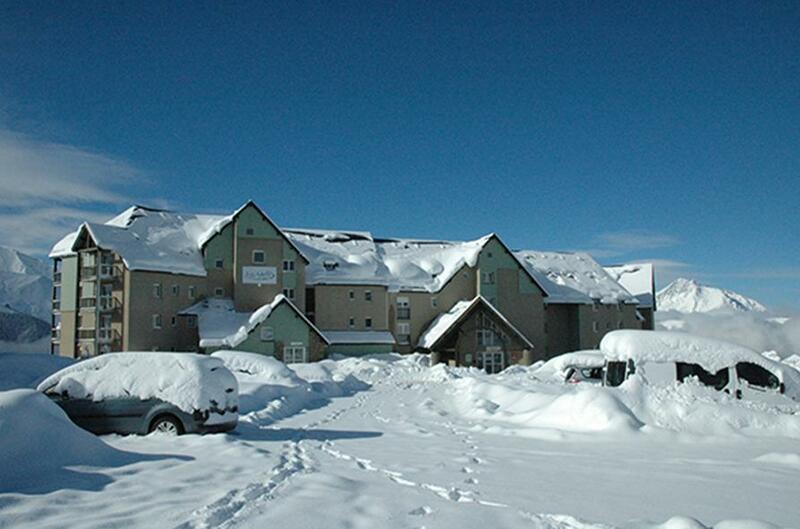 All apartments have a private heated ski locker and cots and high chairs are available free of charge for the little ones. Every apartment has a Wi-Fi access (payable). 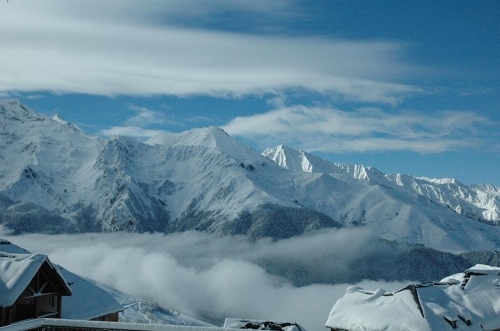 The resort of Peyragudes offers modern high speed lift systems, great snow coverage and challenging slopes for all abilities. 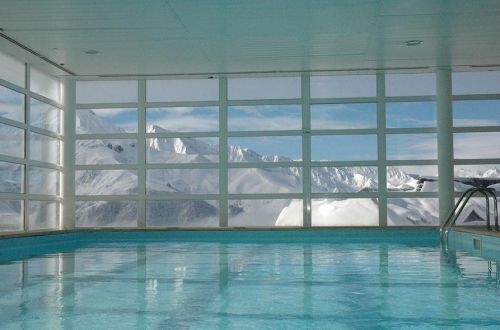 So, if after a hard day on the slopes, you feel the need to rest those weary ski muscles, then why not take a 15 minute drive down to “Balnea”, the resort’s thermal spa in the valley below (free shuttle bus during Christmas and February French school holidays). The themed baths are a sensory delight – from the American Indian baths with its totems, bubble beds and geysers to the Japanese baths with their onson-like heated outdoor relaxing area. 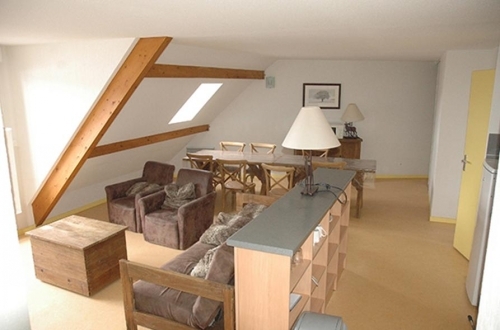 The self-catering apartments and chalets at Residence Les Adrets in Peyragudes are spacious, comfortable and fitted and furnished to a very good standard. The decor is traditional mountain style with a cosy feel. All apartments have a fully equipped kitchenette with ceramic hob, microwave/grill, fridge, dishwasher, kettle, electric coffee-maker, toaster and a balcony or terrace. 1 Bedroom Alcove Apartment sleeping 6 (ca. 36-42m2): Open plan living/dining area with double sofa bed, double or twin bedroom, alcove with bunk beds, bath or shower room with WC. Balcony or terrace. 2 Bedroom Alcove Apartment sleeping 8 (ca. 52-60m2): Open plan living/dining area with double sofa bed, 2 double or twin bedrooms, alcove with bunk beds, bath or shower room with WC. Balcony or terrace. 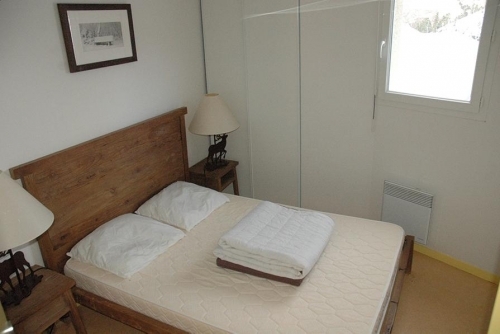 Please note: for any apartments/chalets at Residence Les Adrets in Peyragudes that feature bunk beds, sleeping in the top bunk is not recommended for children under the age of 6 years old. 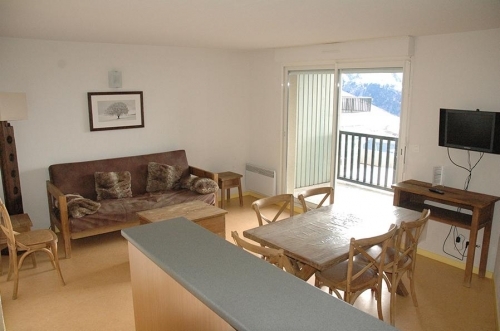 Fully equipped apartment with flat screen TV and heated ski locker, free access to pool, sauna and fitness room (open daily 09:00 – 12:00 & 16:00 – 19:30), welcome toiletries and mini cleaning kit, free Wi-Fi at reception. - Refundable breakage deposit: €300 - Please note: no deposit, no keys! - Optional underground parking (height limit 1.80m): €40/car/week during school holidays or €20/car/week during low season (subject to availability). - End of stay cleaning (except kitchen and washing up) €60/1 Bedroom Alcove 6 pers; €80/2 Bedroom Alcove 8 pers. 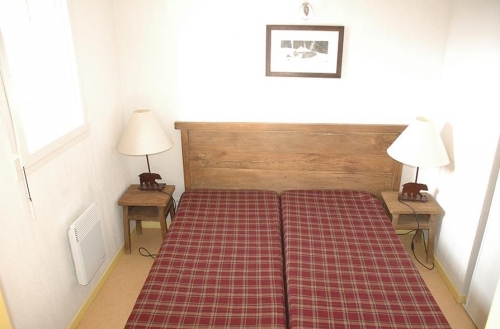 - Cleaning on request during the stay: €60/1 Bedroom Alcove 6 pers; €80/2 Bedroom Alcove 8 pers. - Laundry (self-service): €5.50/wash cycle & powder; €3/dry cycle. 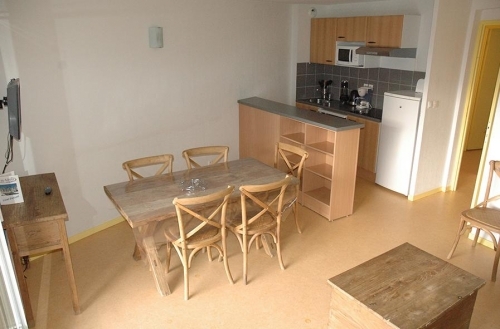 - Wi-Fi in apartment (payable pro rata). Pets are allowed and will be charged €47/week (payable locally). A valid passport for your pet is compulsory. The loan of highchairs, cots (bed linen not included) (request at time of booking) board games is available at reception (all subject to availability). Arrival day at Residence Les Adrets is Saturday (unless otherwise stated) 17:00 - 20:00 and Departure by 10:00. 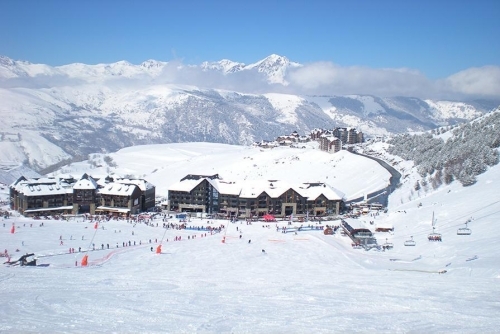 Located in the Balestas area of Peyragudes, just 400m from the ski lifts and the resort centre with its restaurants and bars. The residence also has impressive views of the Louron Valley.